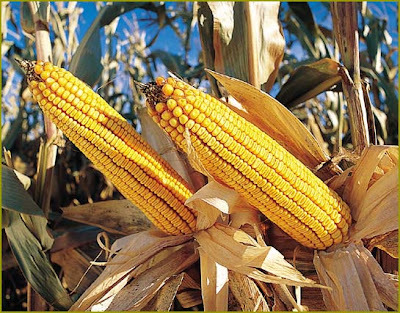 According to a number of online sources including uspirg.org, a French company called Meristem Therapeutics has grown experimental genetically-modified corn implanted with human genes on an acre of open land on a farm in Kentucky. There's no shortage of scary reports about the dangers of GMOs, but what really concerns me here is the implication that a human-corn frankenstein plant was cultivated openly and allowed to possibly infect the world with, well, itself. What effects would a human-corn monster plant have on nature in general? On animals and insects that ate of it? On the soil it was grown in and the earthworms, bacteria and fungi that interacted with it? No one knows. Maybe nothing. But no one knows. 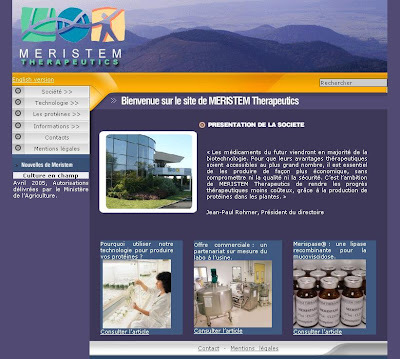 The official Meristem Therapeutics website is currently down, but thanks to the folks at the Internet Archive, we can look at old copies of the site here. I'm still trying to figure out at what Kentucky farm this mad-scientist monkeying-around took place. The original "Louisville Slugger", Pete Browning, is another of the many historical luminaries buried in Cave Hill Cemetery. 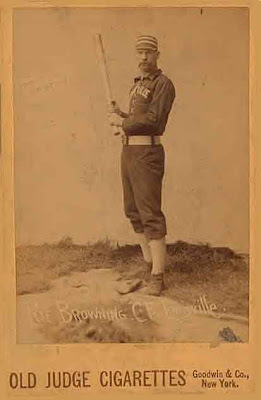 He played Major League Baseball as outfielder from 1882 to 1894 with the Louisville Eclipse of the American Association, the Cleveland Infants of the Players League, and the National League's Pittsburgh Alleghenys (later Pirates), Cincinnati Red Stockings (later Redlegs, later Reds), Louisville Colonels, St. Louis Browns (Cardinals) and Brooklyn Bridegrooms (later Dodgers). He was one of baseball's most beloved characters during his lifetime, despite his open and unabashed alcoholism; he played many an excellent game even while three sheets to the wind. It was certainly a different era. 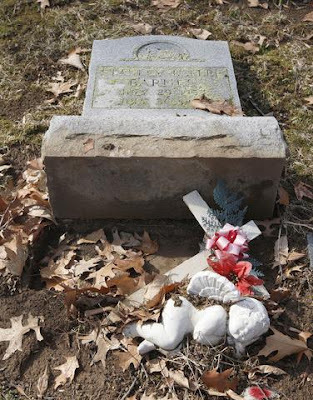 This weekend, I happened upon this elaborate grave in Cave Hill for two women - Mary Guendaline Byrd Caldwell and Mary Elizabeth Breckenridge Caldwell. I snapped a few quick photos and moved on. Looking over them at home today, it sunk in on me that these were no ordinary women. One's title is "Baroness Von Zedtwitz", and the other was the "Marquise des Monstiers Merinville", whatever that is. 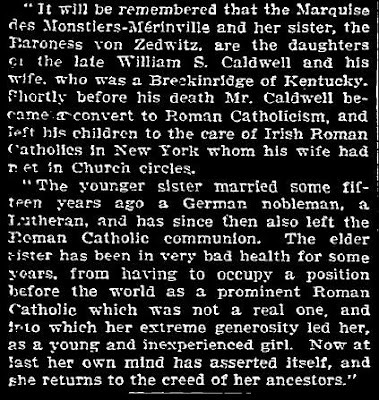 So I did a Google search and found this very interesting article in the New York Times, November 16, 1904. Apparently these were two very well-known and well-to-do ladies in the social circles of NYC, Louisville, and Europe back in the day, and prominent members of the Roman Catholic Church. 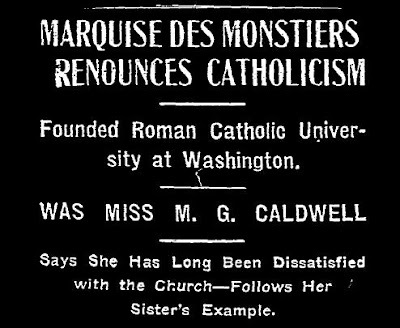 For reasons not made clear in the article, the Marquise des Monstiers Merinville chose to issue a press release and grant a media interview in order to make a big showy announcement that she was very publicly and bitterly repudiating the Church. Her sister the Baroness, we are told, had already done so. For several prominent investors and at least one senior US congressman it is not the security of the facility in Kentucky that is a cause of concern: it is the matter of how much gold remains stored there - and who owns it. 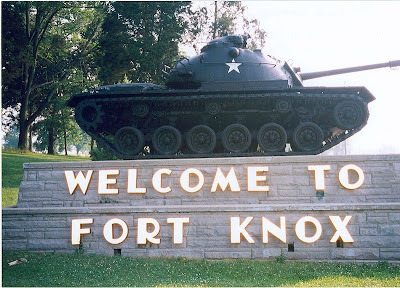 A month after President Nixon resigned over the Watergate affair, Congress demanded to inspect the contents of Fort Knox but the trip to Kentucky was dismissed by critics as a photo opportunity. Three years earlier Mr. Nixon brought an end to the gold standard when France and Switzerland demanded to redeem their dollar holdings for gold amid the soaring cost of the Vietnam War. 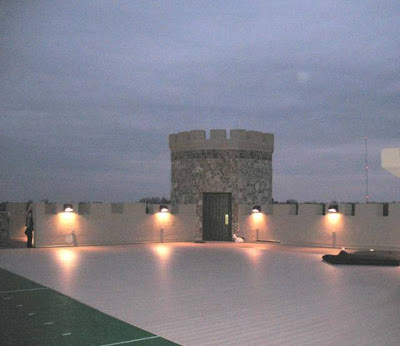 Many gold investors suspect that the US has periodically attempted to flood the market with Fort Knox gold to keep prices low and the dollar high - perhaps through international swap agreements with other central banks - but facts remain scarce and the US Treasury denies that any such meddling has gone on for at least the past decade. The article then ends on a still scarier note, mentioning that it's expected that at next week's G20 summit, China and Russia will call for the creation of a new world reserve currency amid fears that the U.S. Federal Reserve is responsible for the ongoing collapse of the global banking system. Three more escaped convicts are on the loose in Kentucky. According to the the Kentucky State Police, the three escapees assaulted three Carroll County men - beating them and and tying them up in a house near Sanders, KY. The three victims were flown to a Louisville hospital. Richard Marshall, 59, of Sanders, is still there and in stable condition. The other two, Keith Marshall, 56, and Barry Marshall, 50, were treated and released. • Bobby Cockerell III, 31, of Jeffersonville, IN. Cockerell is white, about 6-foot-2, weighs about 220 pounds and has brown eyes and brown hair. 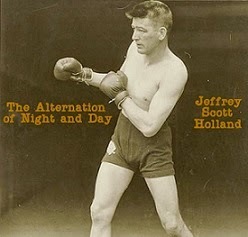 He has scars on his left hand, lower arm and face. "Char-lee" is tattooed on his upper chest and lower neck. "Wizard" is tattooed on his left shoulder, and a skull is tattooed on his left inner forearm. He has a birthmark on his abdomen. • Jerry Sargent, 59, of Dry Ridge, KY. Sargent is described as white, about 6-food-5, weighs 210 pounds and has blue eyes and red hair. He wears glasses and has the word, "Panama" tattooed on his upper left arm. He has family in the Grant County, KY, area, and police said he might be trying to contact them. He escaped from another prison in 1974, according to court records. • Christopher J. Marshall, 49, of Monon, IN, who police said is not related to the Marshalls who were beaten and bound. Marshall is described as white, about 5-foot-8, weighs 188 pounds and has green eyes and brown hair. He usually keeps his hair tied in a ponytail and has a long, unkempt beard. He wears glasses and walks with a noticeable limp. His right leg is shorter than the left, and he has a built-up shoe on his right foot. He has a scar on his lower right arm and surgical marks and scars on his right foot, upper left leg and lower right leg. He also has tattoos of a skull with axes on his upper back, a chain with a skull on his right ankle and multiple tattoos on both arms. These geniuses are apparently traveling together, which is, like, the dumbest possible thing a trio of escaped convicts could do. Maybe they saw O Brother, Where Art Thou and mistook its plot for solid advice. The truck they're driving around in is a dull green 1998 4X4 Ford Ranger pickup truck with a super cab and Kentucky license number 7824 BZ. The truck has a dent on a rear fender and part of the lower spoiler on the front end is missing. Do not, not, not follow or interact with these suave gentlemen if you see them. They are armed and considered dangerous (Anyone who would willingly tattoo the word "Wizard" on their body is clearly not to be trusted). According to the new edition of the Kentucky Fishing and Boating Guide, a 14-year-old Mt. Sterling girl named Sarah Terry recently caught this record-breaking muskellunge (commonly called "muskies") in Cave Run Lake, Rowan County. What do you make of this, Professor? I ran across this site while surfing the web. As Billy Idol sorta-almost said, "It's a nice day for a White Castle Wedding". 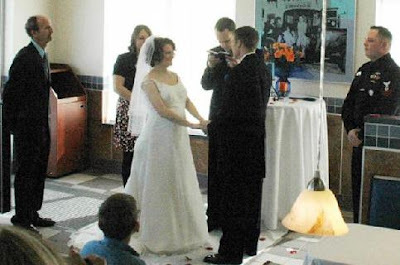 On Saturday, March 21, a couple who met and fell in love at the White Castle in London, KY, tied the knot in that same restaurant. According to the Corbin Times-Tribune, "The White Castle closed its dining room Saturday morning and employees transformed the fast-food booths into a candle-lit reception area. Sun streamed in through the restaurant’s windows as the drive-thru window was briefly shutdown so that the smiling bride could make her way down the aisle and exchange vows with the man she loves". Their cake was shaped like a giant White Castle burger, realistic down to details like onions made of frosting. White Castle burgers, fries and chicken rings were also served at the wedding reception. This fossil, inside a nodule of iron-saturated chert, was discovered in a creek bed approximately 1.5 miles southeast of Berea. Identification of just what it's a fossil of has baffled scientists. It most closely resembles a sort of a squashed orthoconic nautiloid, but that would be extremely rare in the geological strata at which this fossil was found. 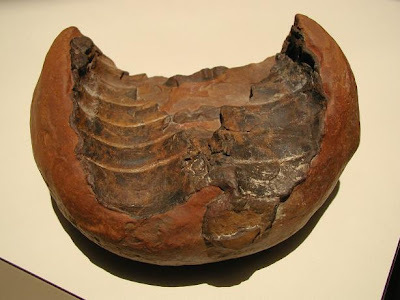 The photo below is one such orthoconic nautiloid fossil, also found in Kentucky. However, this specimen is from the Ordovician period, whereas the mystery fossil is believed to be either Mississipian or Devonian. 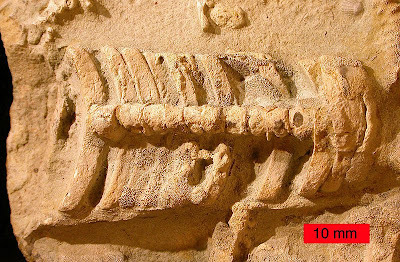 See more images of the mystery fossil here. That Kentucky boy Charles Manson from Ashland is in the news again. Much frothing has been going on in the media about a new photograph taken of Manson in prison, and the general tone of the stories has been something along the lines of "Ha ha! 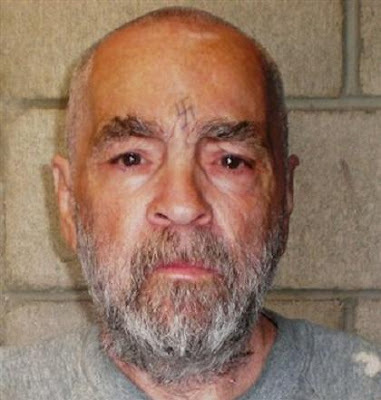 Look at Charles Manson now, he's old and gone bald! What a pathetic old schmuck! Ha ha ha!". Funny thing is, Manson isn't even really all that bald. Apparently Manson shaved his head recently, and you can even see it clearly growing back on the top of his head. Maybe there's a little male pattern baldness going on in the corners of his hairline, but heck, the guy is, what, going on 75 years old now? Even if he really was naturally bald now, why is that news? You can read more about ol' Charlie here or on page 103 of your copy of Weird Kentucky. Yesterday was another unseasonably nice day, so I went for a walk to a place I know on the edge of Jeffersontown to check out this abandoned piece of farm equipment I'd found last summer. It was nearly obscured by foliage then but was quite easily inspected this time, at winter's end. I've been told by a reliable source that this area used to be a thriving tomato farm back in the day, and that the soil here is still optimal for tomatoes if one wanted to sneak out here and plant some. Maybe I will. There's plenty of other remnants of the farm to be found here, including the collapsed debris of the farmhouse. Might be a good place to come back with a metal detector and poke around. One of the saddest grave markers in all of Cave Hill: a statue of a doleful-eyed dog sitting with head cocked as it stares at its master's grave. Community activist Minx Auerbach wore many hats over her long distinguished career, including chairwoman of the Louisville Jefferson County Planning Commission and prominent member of University of Louisville's board of trustees, of which she was the first female member. Her grave in Cave Hill Cemetery is one of the more notable for its eerie faceless minimalist modern sculpture; two humanoid figures sit on the stone, melting into one another. Younger Louisville readers may know Minx's granddaughter Summer, who is currently Rainbow Blossom's vice-president of operations and carving out her own niche in Louisville history with organizations like LIBA and Interfaith Paths to Peace. A German shepherd named Astro who has been missing from his family for more than 9 years is finally home. The Geary family was shocked when they recently received a call from an animal control officer who said that Astro had been found. 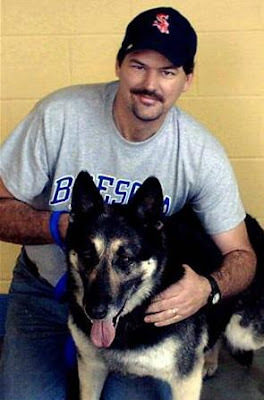 The Geary's adopted Astro, an 80-pound black and off-white German shepherd, about 9 years ago from the Treasure Coast Humane Society near Port St. Lucie, Fla. A month later, Astro went missing. Since then, the family moved three times and ended up in Louisville, Ky.
On Jan. 29, 2009, an animal control officer in Tennessee picked up Astro after receiving a report about a dog running loose. Officers tracked down the family through a microchip implanted in the canine when he was adopted. Dennis Geary says he wasn't sure if Astro would remember him. But when they were reunited, the dog sat down and began licking him. "It's still a real shock that he is actually here," his wife Linda Geary told TCPalm.com about having the family's dog back. "We are getting used to the fact that we don't know where he has been or who had him, but he's our dog and has always been our dog." It's now been three weeks since the pooch has been home. Even though Astro was gone for so long, Dennis says he's never forgotten him — all these years he kept Astro's picture in his wallet. 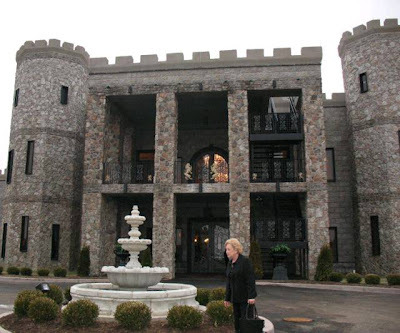 A friend just emailed me some new photos in and around the newly-restored Castle Post (that's the new official name for the old castle in the Pisgah/Versailles area that has been previously referred to as the Martin Castle and the Pisgah Castle). It's been lavishly updated into the mother of all bed-and-breakfasts. 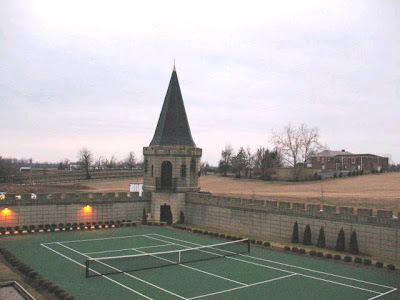 Looks super-impressive indeed, but at $1000 a night, I don't think I'll be lodging there anytime soon. Maybe the JSH Combo can wrangle a lounge-act gig there and we can worm our way into the secret fortress as hired help, Nick Nightingale style. 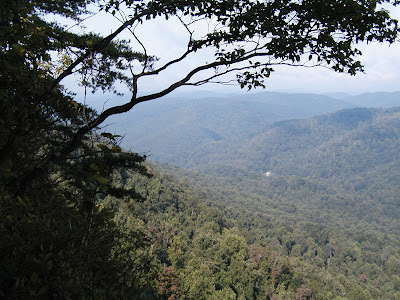 Michael Paul Henson, in his very interesting book Tragedy at Devil's Hollow, tells of a "ghost bride" allegedly seen near Pine Mountain in 1938. It reads like the typical ghostly-hitchhiker story (like, for instance, the "Large Marge" routine in Pee-wee's Big Adventure) but holds my attention for some reason nonetheless. As the story goes, one Martin Harmon encountered a woman in a wedding dress who hitched a ride during a rainstorm and warned him that the bridge ahead had collapsed. He dropped her off at her house and watched her walk around behind it. Only then did he realize she'd left with his coat, which he'd handed her to warm up with during the drive. The next day, he stopped by to retrieve his coat but was informed by the woman's mother that she had died years ago, and had been buried in - yes, that's right - her wedding gown. And as it turned out, the bridge had indeed collapsed in floodwaters the night before. Sounds too good to be true? Well, yeah. But at least this tall tale has some provenance. Unlike some chroniclers of supernatural anecdotes, Henson seems to have actually done some research on these passed-down stories. He notes: "I can learn of no sighting of this phantom in the last thirty-odd years, but the ghost of the bride-to-be was seen on several occasions during the 1930s and 1940s, either near where the old bridge crossed Poor Fork of the Cumberland River, or along the road that used to pass close by this stream. The apparition was always seen during or just before a heavy rain storm." Japanese pro baseball team the Hanshin Tigers were especially rambunctious and giddy after a season championship victory in 1985. So much so, in fact, that a mob of over-exuberant celebrants ripped out a statue of Colonel Sanders from its moorings in front of an Osaka KFC restaurant, and proceeded to throw it into the Dotonbori river. Subsequent attempts were made to retrieve the statue, but it was gone. And the Tigers never won a championship again. The disappearance of the statue has been blamed as part of the so-called "Curse of the Colonel". This week, a team of divers were sent to search for unexploded bombs (huh? I dunno. That's what all the news reports are saying) in the river and accidentally discovered the Colonel statue, looking not too bad after a quarter of a century at the bottom of the river. 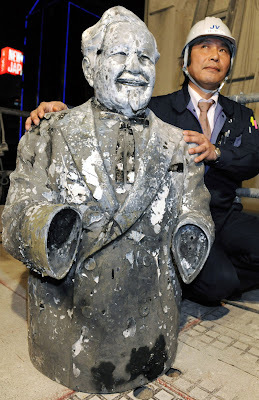 Japanese baseball fans are rejoicing and declaring long national nightmare is over: the Colonel Sanders Curse has been lifted by his statue's resurrection from its watery grave. 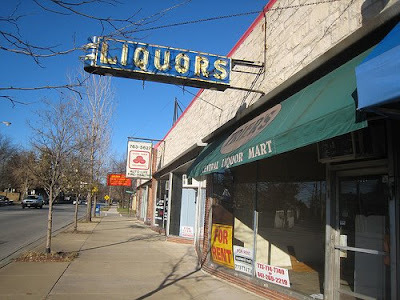 With the toll that the economy crunch is taking on American citizens, some cities and states are realizing that loosening restrictions on liquor is a good way to keep revenue flowing and boosting local economy. Many cities are extending bar hours, and some places, like the entire state of Arkansas, are doing away with the "no liquor on Sunday" laws that should have never existed in the first place. According to Ben Jenkins, a spokesman for the Distilled Spirits Council, states that lift the ban on Sunday sales see a significant boost in sales annually. Jenkins also notes, "Dozens of states consider alcohol taxes, and every year most of them fail because the legislators become educated as to the effects a tax increase on alcohol would have on the hospitality industry". Unfortunately, given the choice between loosening or tightening Governmental grip on alcohol, between increasing citizen spending or suppressing it, guess which one Kentucky chose? Yep, you guessed it. Several economists have noted that the key to getting ourselves out of this current economic toilet is to have money continually in motion, to get people spending, to keep bills circulating, by any means necessary. Splopping yet another malodorous tax on Kentuckians, many of whom are just barely getting by right now, is a sure-fire way to suppress spending, depress the morale of citizens, slow the economy down, and generally just screw things up for everybody. A liquor tax during more affluent times, when the economy was booming and everyone was partying, would still have been a bad idea. But to do it at a time like this when people are struggling just to stay afloat... to tell the average Joe that he has to pay more for that bottle of cheap wine or that six pack of Miller High Life, which may or may not be the closest thing to a splurge, a luxury, or a treat they ever get in their existence... well, there's a word for people who would do that to Kentucky's citizens at a time like this. Several words, actually. None of which are printable here. I simply cannot understand why the members of the Kentucky legislature voted into office by voters who live in "wet" counties would allow another increase in the tax on alcohol after a 22 percent increase just four years ago. This tax burden has been placed on only 50 percent of the population of Kentucky. This is just fine for legislators from "dry" counties as there is no additional tax burden placed on their constituents, ensuring their re-election. The distillers have said that they may reevaluate their stake in the Bluegrass, and they very well may. Some distillers have already moved their aging operations out of Kentucky due to taxation. It doesn't have to be distilled here to be bourbon. When this new 6 percent tax -- which is on top of a 11 percent wholesale tax, which is on top of an excise tax -- costs Kentucky its competitive edge, not only will Indiana and Ohio shoppers stay on their side of the river, but many Kentuckians will cross the river to do their shopping. 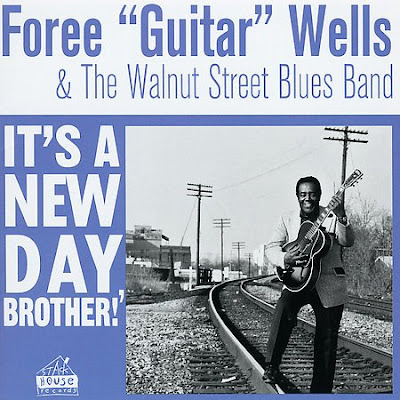 Completely by accident while wandering around Louisville's Calvary Cemetery the other day, I discovered the grave of bluesman Foree Wells, Jr.
Wells was born in Louisville, went on to conquer Memphis and then returned to Kentucky. He recorded with Bobby Bland, Jimmy Witherspoon, Arthur Gunter, and on Sun Records with Rosco Gordon. Unfortunately, the angle of the sun prevented the low-contrast lettering on the headstone from showing up unless I blocked them with my shadow, which I clumsily attempted to do here with less than total success. I'll go back out sooner or later and retake them at a different time of day. Foree was born in Louisville, Kentucky, on January 10, 1936, into a family of music lovers. Both his father and grandfather played country music and blues. At age nine Foree taught himself to play guitar, starting out playing country tunes made popular by Roy Acuff, Grandpa Jones, Spade Cooley, Hank Snow and Cowboy Copas. By age eleven, he was part of the Alvin Thomas Band, which included Alvin, Foree and their schoolmates. In 1956 Foree returned to Louisville, married his wife Lorene and got a job with L&N. He also became a bandleader, fronting the Foree Wells Combo and, later, the Rockin’ Redcoats, which featured Louisville guitarist, June “Smoketown Red” Downs. 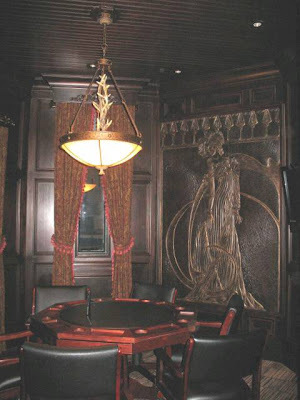 The band played at all the hot clubs in town: the Top Hat, the Diamond Horseshoe, Harry’s and Club 36. Foree remembered, "The worst place I ever played was Club 36. The first night I went in there, we played in the garden and I had beer bottles coming out of the door over the top of my head. I turned around to get back in the car. They had to pull me back in to come and play the job." 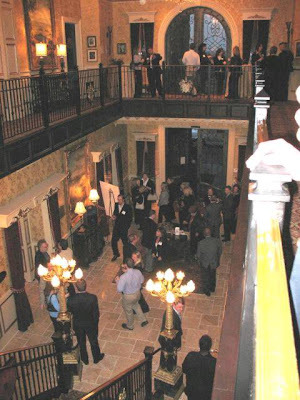 Most of the action in Louisville took place on Walnut Street. 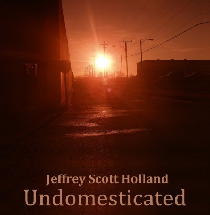 "It had more action going on than Beale Street. They had entertainment all up and down the street and it never shut down. The restaurants and things stayed open 24 hours a day - people walking up and down the street all night long - 24 hours a day! And jukeboxes would be going on all night long. That’s the way it was then." New MRSA Strain in Jessamine Co.
West Jessamine High School junior Ryan Robinson was placed on life support at the University of Kentucky Hospital after being diagnosed with methicillin-resistant staphylococcus aureus — or MRSA. The Lexington Herald-Leader reported that was confirmed by Sam Pile, who coaches the youth's soccer team. Pile said Robinson played well Thursday, but said his mother said the boy fell ill that night. His ailment was first diagnosed as influenza, but MRSA was later discovered. Jessamine County Schools Superintendent Lu S. Young said the school and the Career and Technical Center have been thoroughly cleaned. Most MRSA infections occur in hospitals or other health care settings, such as nursing homes and dialysis centers. It's known as health care-associated MRSA, or HA-MRSA. Older adults and people with weakened immune systems are at most risk of HA-MRSA. 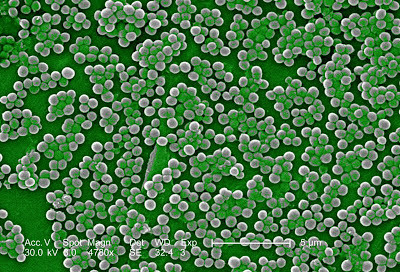 More recently, another type of MRSA has occurred among otherwise healthy people in the wider community. That new wider-ranging superstrain is known as Community-associated MRSA, and is apparently what we have here in Nicholasville. Just how swift and how scary is it? Well, this teen was healthy and playing soccer in the afternoon. By evening, he was severely ill. By morning, he's in critical condition. This eerie statue makes an attention-commanding gravestone in Louisville's Calvary Cemetery. Because of the even focus and extreme detail of images taken with a digital camera on autofocus, some of the eerieness is lost here. When you see it in person, from some distance, the face isn't immediately clear and it looks like a mysterious faceless figure under a hood. I think it's St. Joseph in Franciscan garb, but the three knots in his cincture are oddly and fancifully pretzel-like instead of the traditional Franciscan style of knot-tying. Kaelin's Restaurant, located at the corner of Newburg Road and Speed Avenue in the Highlands of Louisville, has claimed for decades to be "the birthplace of the cheeseburger". Whether that's actually true or not remains unconfirmed. The title has been claimed by The Rite Spot in Pasadena, CA (1926) and The Humpty Dumpty Barrel Drive-In in Denver, CO (1935). Kaelin's claims to have invented the cheeseburger in 1934. Since the other two locations no longer exist, Kaelin's has at least a claim of being the last surviving of the cheeseburger originators. That is, until yesterday. The Courier-Journal reported that Kaelin's has closed its doors. Permanently? Well, no, one of the owners, Tim Clark, claims it's just for remodeling, but at the same time they're talking an awful lot about how sales were down and how the economy is bad and how the restaurant faced "real estate and operational hurdles", whatever that means. A note on the door when I went there today emphatically stated the closure was only temporary for remodeling. Most tellingly, their phone has been disconnected. I don't think they'd do that if this was just a temporary remodeling. Another part owner, Kevin Wagner, said he was unclear what will happen to the property, or whether the birthplace of the cheeseburger will reopen. 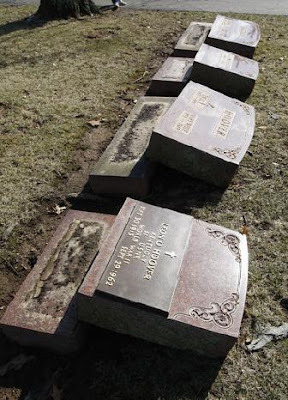 This past Tuesday night, unknown vandals, continuing the rash of cemetery desecration that's been going on around the state lately, knocked over 152 headstones in Versailles Cemetery. This is the biggest single instance of vandalism to a cemetery that I've ever heard of, in all my years of gravewatching. Versailles police continue to seek clues about those responsible, and have offered a $2,000 reward for information leading to their arrest and conviction. Felony charges are possible including institutional vandalism, said police spokesman Pat Melton. The cemetery is owned by the city of Versailles. The cemetery gates were locked, so it appeared the vandals jumped a 4-foot rock wall, Melton said. Cemetery manager Terry Brown said he was shocked by the extent of the damage. "I've been here 20 years. I've never seen anything like this," Brown said. "I think there probably had to be three or four or five people, because some of the stones are quite large."